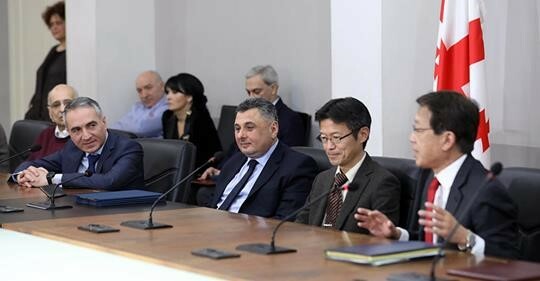 School of High Energy Accelerator Science, the Graduate University for Advanced Study, also known as SOKENDAI in the Japanese abbreviation and Georgian Technical University (GTU) concluded three agreements regarding academic exchange, credit transfer and double-degree program. The signing ceremony took place at the GTU campus, Tbilisi, Georgia on February 13, 2019 in the presence of Hon. Mikheil Batiashvili, Minister of Education, Science, Culture and Sports and Mr. Tadaharu Uehara, Ambassador Extraordinary and Plenipotentiary of Japan to Georgia. Prof. Satoshi Mihara, Department of Particle and Nuclear Physics participated in the ceremony on behalf of SOKENDAI, bringing signed copies of the agreements by the president of SOKENDAI. 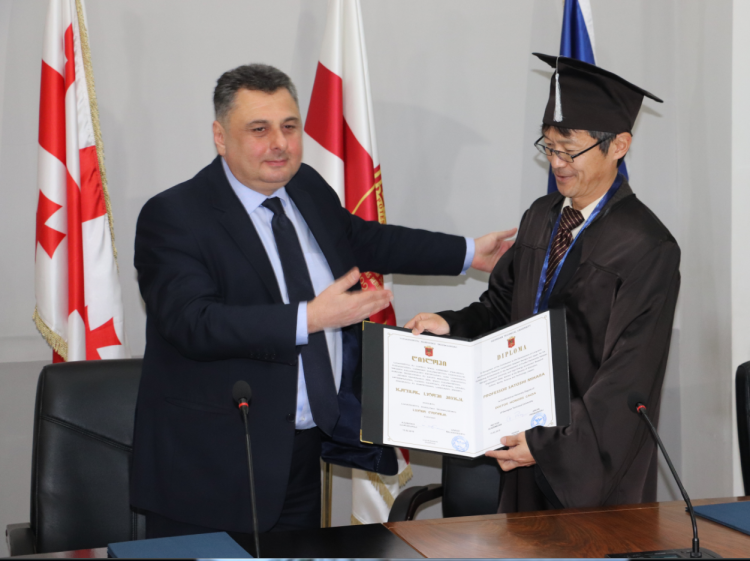 Prof. Mihara and his Georgian counterpart, Prof. Zviadi Tsamalaidze, GTU played a leading role in concluding agreements: their collaboration has lasted for more than ten years and Georgian researchers and students are actively participating in research programs at J-PARC. These close relationships contributed to formalizing a collaborative framework. For School of High Energy Accelerator Science, this is the first agreement on a double-degree program with its foreign partner, while this is the second case for SOKENDAI. Accordingly, a conversation has already started to host a Georgian student in School of High Energy Accelerator Science through the framework laid out by the agreement. We expect this will pave ways for closer academic exchange and international collaboration.